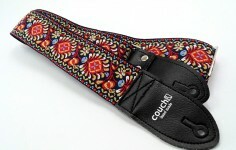 Fortunately Couch guitar straps, a California based company, build vegan straps – and it’s the only one I’m aware of. I haven’t found much about them in french, which is why I wrote this article initially. Couch recycles amongst other things vintage vinyl or seatbelts from the automotive industry and transform them into instrument straps in their Los Angeles based workshop. If you don’t find this cool enough, all their products are handmade and at the same price of all the mass production straps made by underpayed chinese hands. 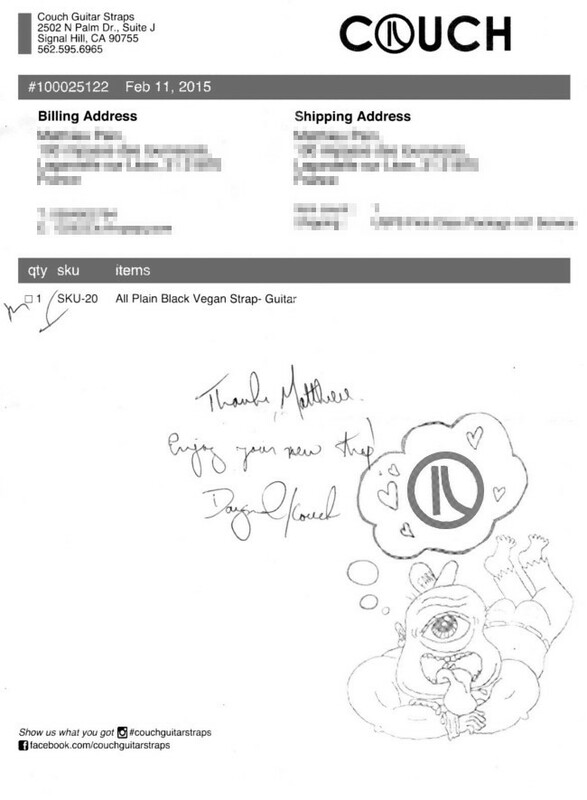 When I opened the package, the first thing I saw was the handwritten note on the bill which I really appreciated. The most critical people would argue it’s not a big thing, however how often do you get this kind of attention after a simple online order ? About the strap itself, the basic material (the seatbelt) is as good as new, which might reassure folks who are afraid of the “recycled” word 😉 The seams are clean and seem to securely hold the back tab vinyl that goes in the strap button of the guitar. This strap is the most comfortable I ever used. The nylon straps I used until then burned my shoulder when I played wearing a t-shirt, now I can finally play several hours standing up without suffering from 3rd degree burns. 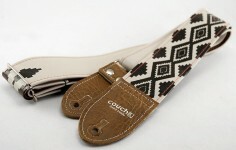 Another important thing : every Couch strap is approximately 6 inches longer than standard straps. 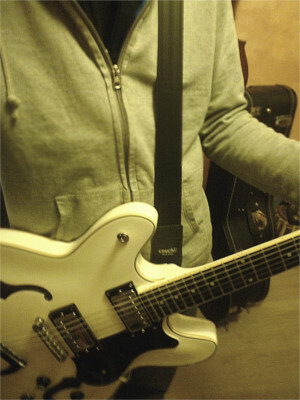 It doesn’t seem much but I’m 6 feet tall and I play with my guitar pretty low, needless to say that most straps are too short for me, however with the Couch strap I still have some extra length to set it lower. As I easily get excited about new stuff, I used the strap for few months before writing this article, yet I still don’t find any fault. By now the strap has already gone through spilled beer and Denver the last dinosaur’s tune played at a sound level that would make Manowar out to be Disney World activity leaders, so it’s solid stuff. 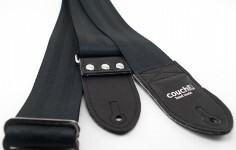 Eventually if I knew these straps were out there (Couch exists since 1999), I’d never bought straps from anywhere else. Otherwise they also make belts, wallets, camera straps… and all their products are vegan and handmade.